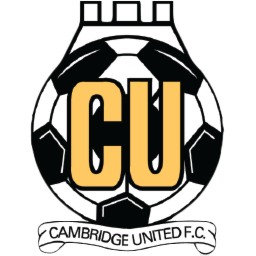 Cambridge United Football Club were formed in 1912 as Abbey United. 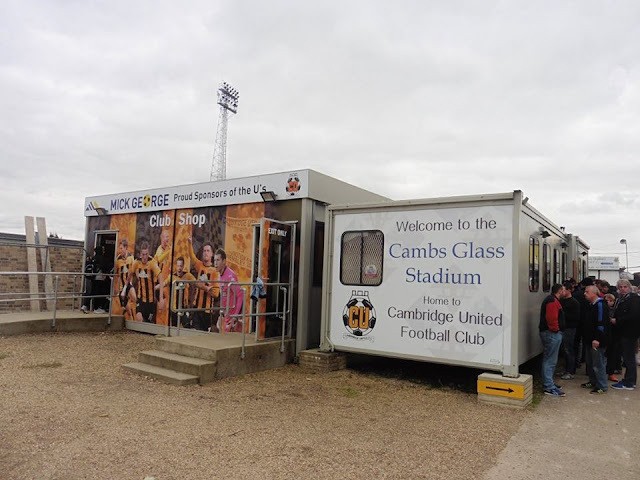 Originally there were a football club called Cambridge United which existed in Cambridge from 1909, but it was not linked to the club that exist today. 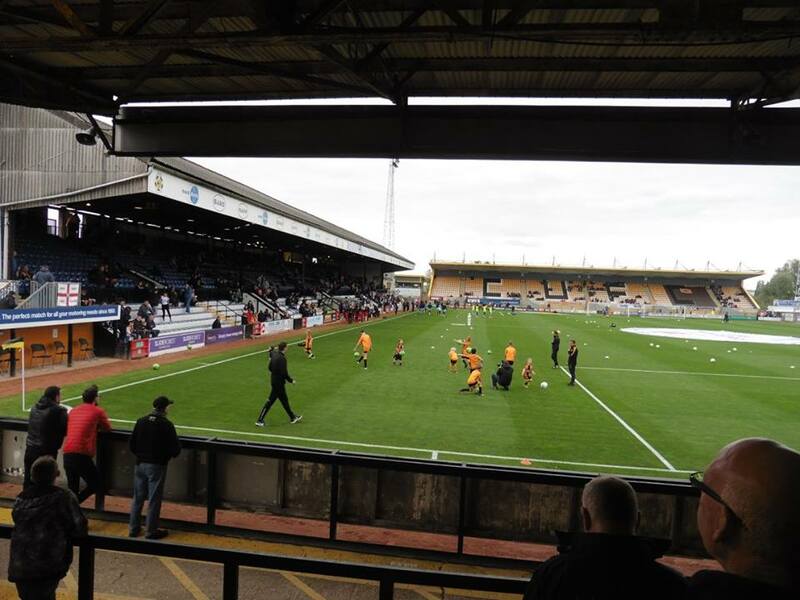 The club played in local amateur leagues which saw some success which happened in the early years, and also moving from ground to ground, before settling down at the Abbey Stadium. The club turned professional in 1949, and changed the name 2 years later. 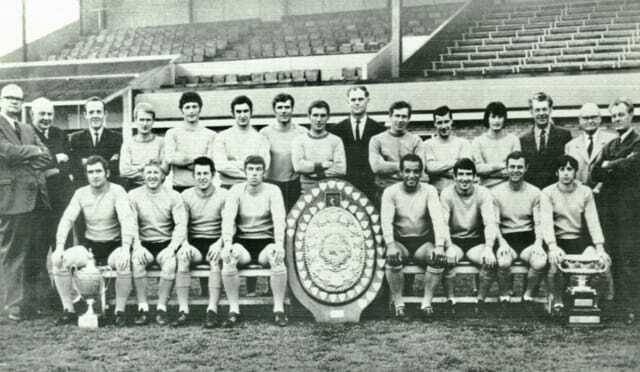 The club's 1st League win came in 1969, winning the Southern Football League Premier Division, winning it on 59 points from 42 games, beating Hillingdon Borough to the title by 1 point. The club's highest transfer fee received was for Trevor Benjamin in July 2000. Leicester City bought Benjamin for £1.5m. 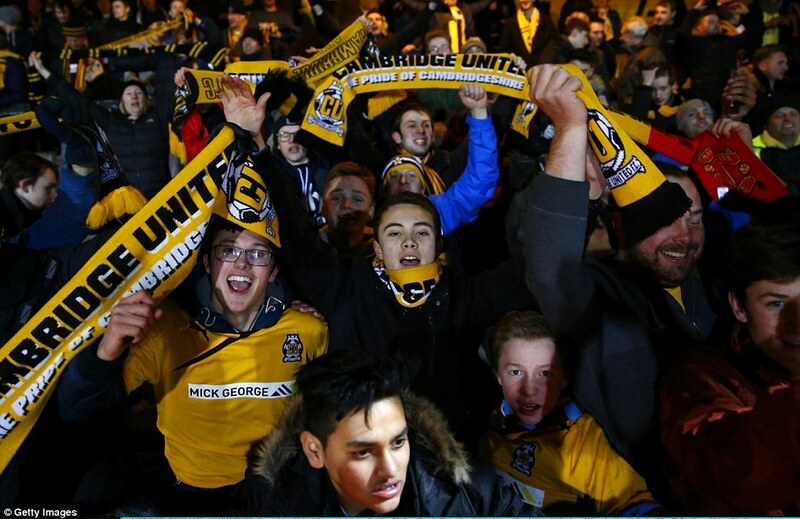 Twice Cambridge United have reached the Quarter Finals of the FA Cup, which is the furthest they have ever reached. 1990 and 1991, losing 1-0 to Crystal Palace in 90, and Arsenal 2-1 in 91. 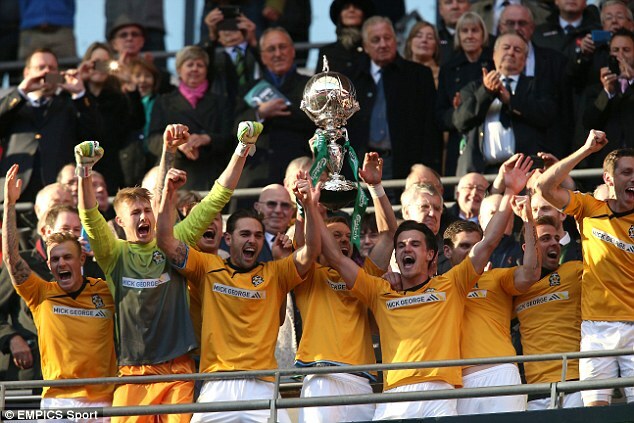 Cambridge have won the FA Trophy only the once. They won it in 2014, beating Gosport Borough at Wembley 4-0. A crowd of 18,120 saw the U's win the FA Trophy for the first ever time. 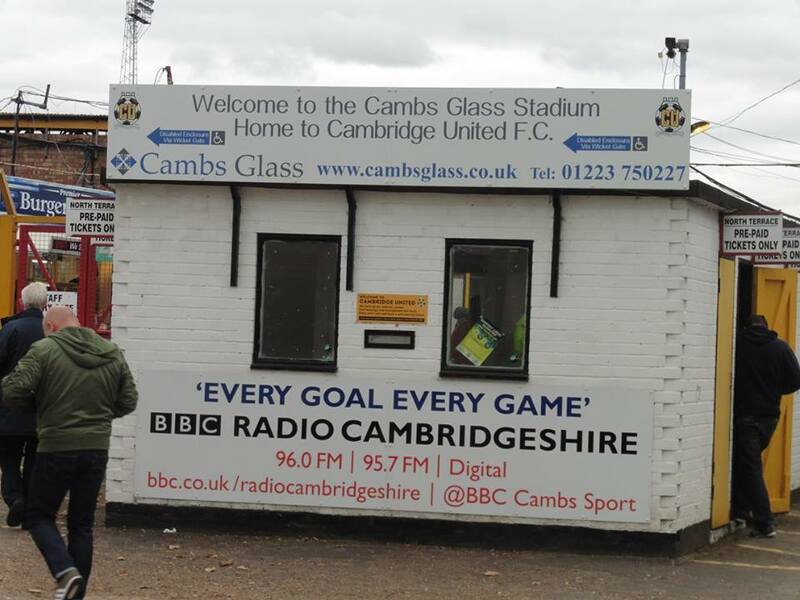 In the same very year, Cambridge won promotion back to the Football League, with a 2-1 win over Gateshead which saw a crowd of 19,613 see Cambridge promoted back to the Football League. Cambridge's main rivals prior to election into the Football League are Cambridge City. Although the 2 clubs haven't played each other much in recent years, Cambridge's main rivals are Peterborough United. 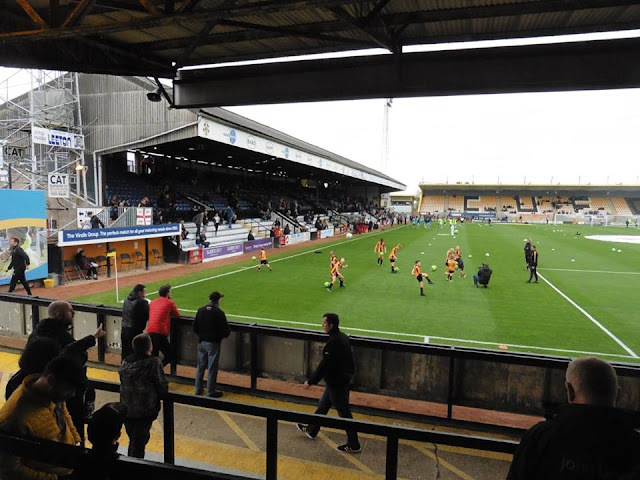 Lesser rivalries include Northampton Town, Histon, Colchester United and Luton Town. 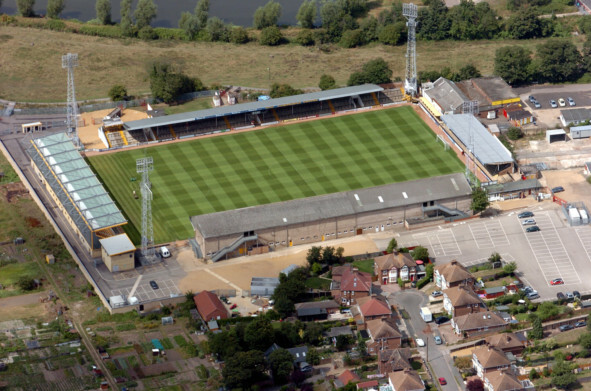 Cambridge have been playing at The Abbey Stadium since 1932. The ground holds 8,127 which of 4,376 is seated. The ground is a fairly old fashioned type of ground. 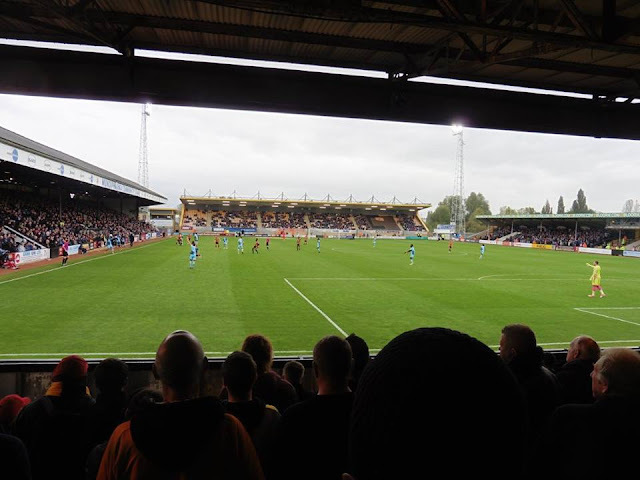 I quite like The Abbey when I visited, mainly due to terracing as that's one of my favourites when it comes to football. 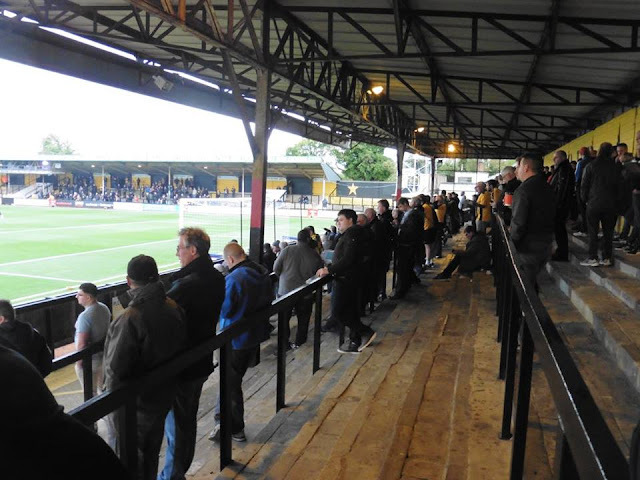 The ground is some and some, with terracing behind the goal in the home end, followed by seating on the side of the pitch and behind the other goal. 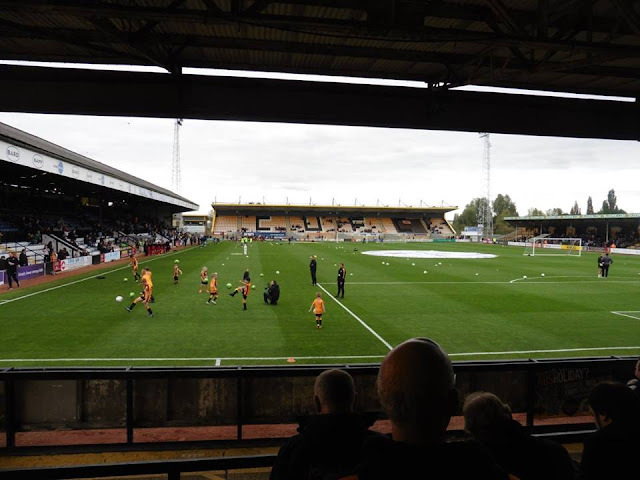 There is also terracing on the other side of the pitch. 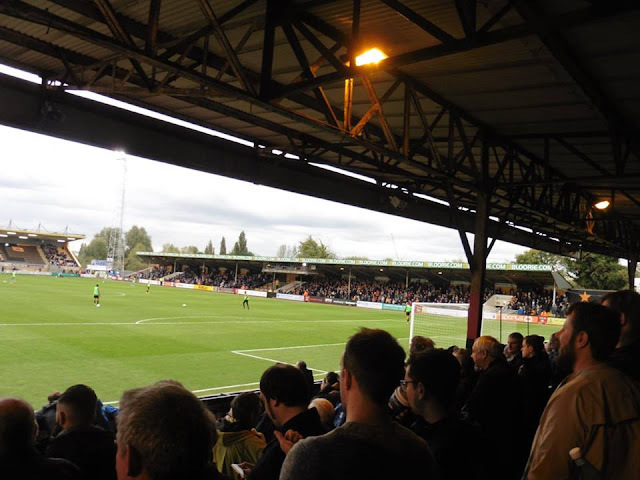 Away supporters are allocated anything up to 1,600 supporters. Away fans are usually behind the goal at Cambridge, although I do believe you may well have an option of standing as well which is on the side of the pitch. To get to Cambridge by train, it's approximately around 35 minutes to walk, so probably wouldn't advise to walk it. I caught the bus which took around 10 minutes. Come out of the station, turn left and there are some bus bays just ahead. Look for the Citi 3 bus, which will take you straight to the ground with the ground on the right hand side. My visit to Cambridgeshire came in October 2017. 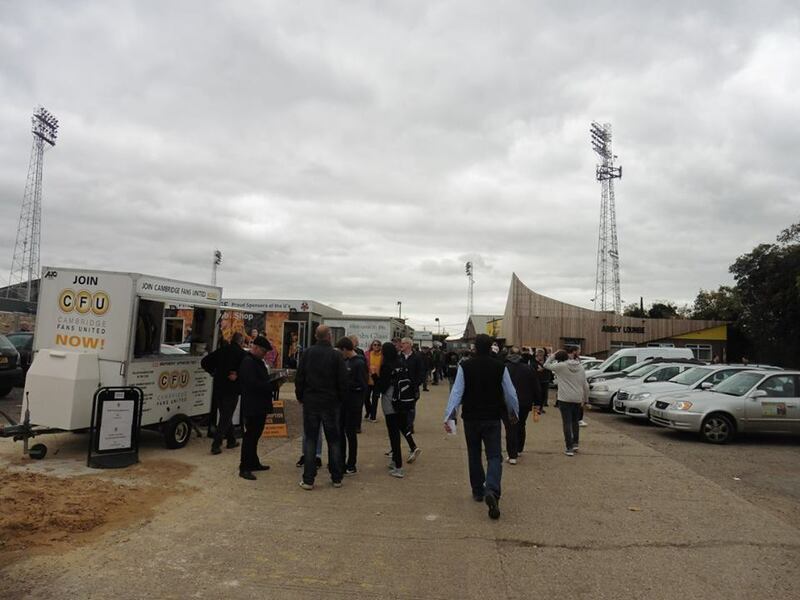 Gillingham's home game against Portsmouth got moved to the Sunday on Sky Cameras, so of course it gave me a free Saturday. 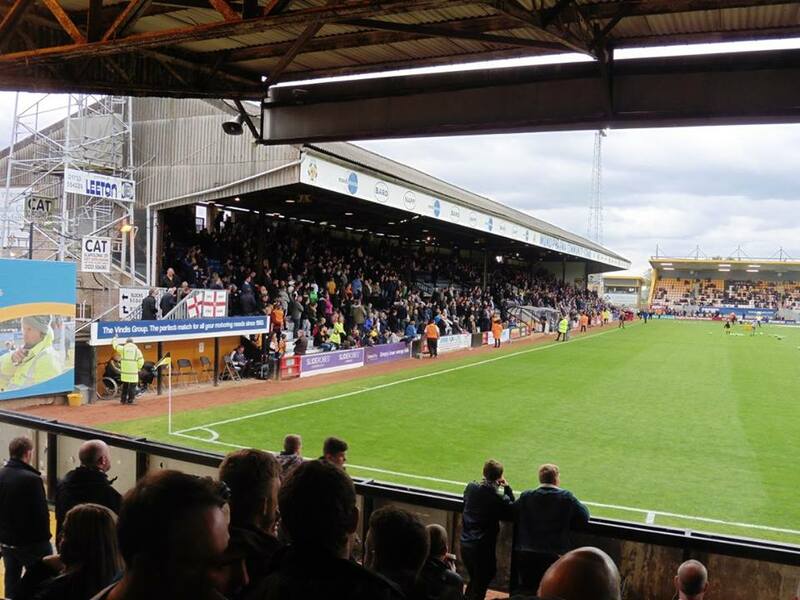 As there were Internationals, there were only League One and Two games in the 92. 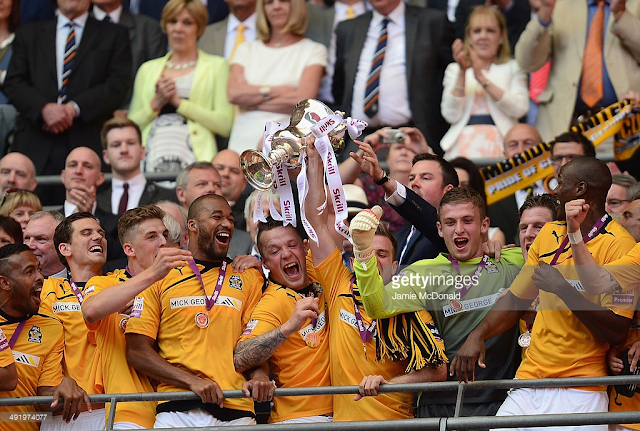 With only Wigan left in League One, I've already got plans to tick that off in February. 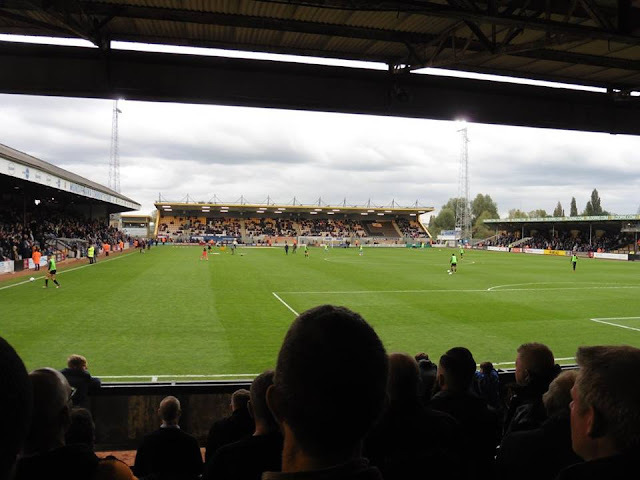 So, looking at League Two fixtures, the only grounds I haven't done that were Lincoln City vs Chesterfield, a re-visit to Newport County vs Carlisle as I've only seen 45 minutes of football at Newport, or of course Cambridge United vs Wycombe Wanderers. 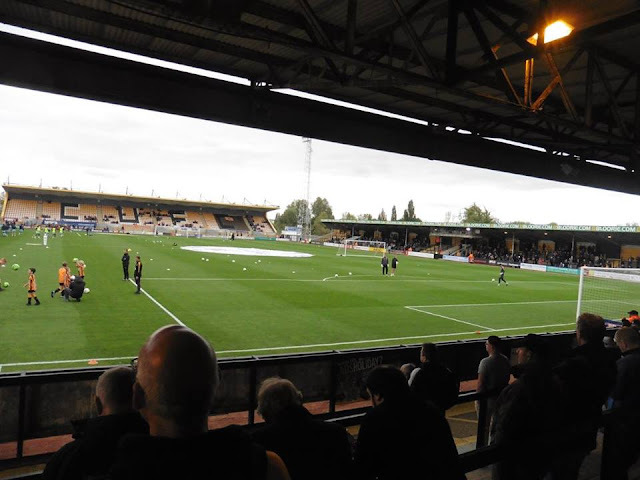 I chose to go with Cambridge, a ground of course yet to do, same with a mate of mine Barnsey who is a fellow Gills fan and also likes to Groundhop as well. After getting home just after 11 on Friday night and not having much sleep, I left home just before 10am and arrived to Barnsey's at around 10.45. We left Strood at 11, and arrived into King's Cross half an hour later. Left King's Cross at 12.15 and arrived into Cambridge just after 1pm. We had 2 choices, whether to walk to the ground, which probably would have taken around 35 minutes, or bus to the ground. In the end we chose to bus it. 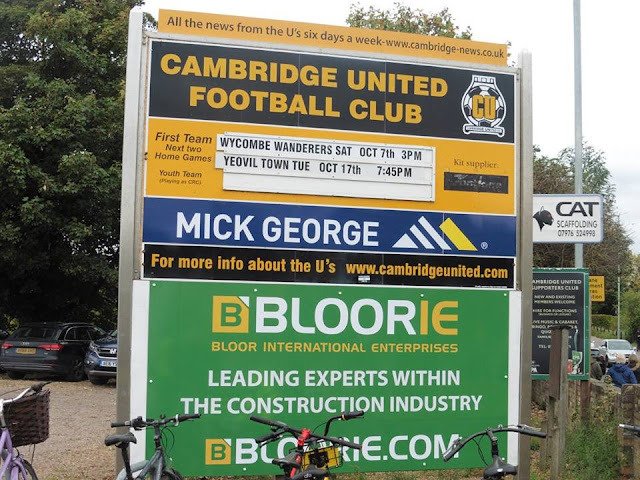 To anyone that's reading this on how to get to Cambridge by bus from the station, it's Citi 3 to the ground and you'll see the ground on your right before getting off at the bus stop. 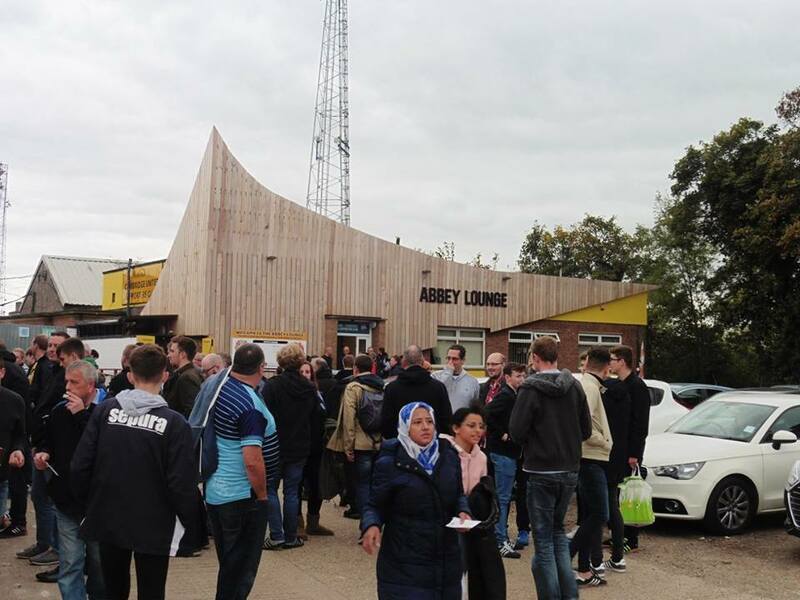 So anyway, we arrived at the ground about 1.45pm. Took a slow stroll to McDonald's, and then made our way to the ground. 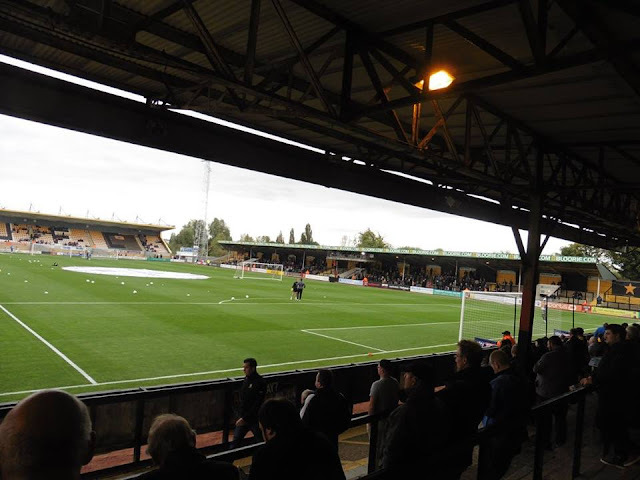 Picked up the tickets which cost £16 for terracing tickets, I prefer terracing myself anyway. Onto the game itself, the game picked up more in the 2nd half. 1st half wasn't at all great, with both sides heading into the break goalless. I had a bad feeling it was going to be another 0-0 as my last 4 games, I've seen 3 0-0's which wasn't great. But 2nd half, it only took Wycombe 3 minutes to score as Ebere Eze put Wycombe in front putting it in the top corner from a terrific pass by former Gills man Adebayo Akinfenwa. Eze scored a 2nd, with Cambridge pulling one back as Uche Ikpeazu was brought down in the box and Cambridge pulled one back from Medy Elito. Wycombe wrapped the game up with substitute Josh Umerah running through with a simple finish past David Forde in goal. 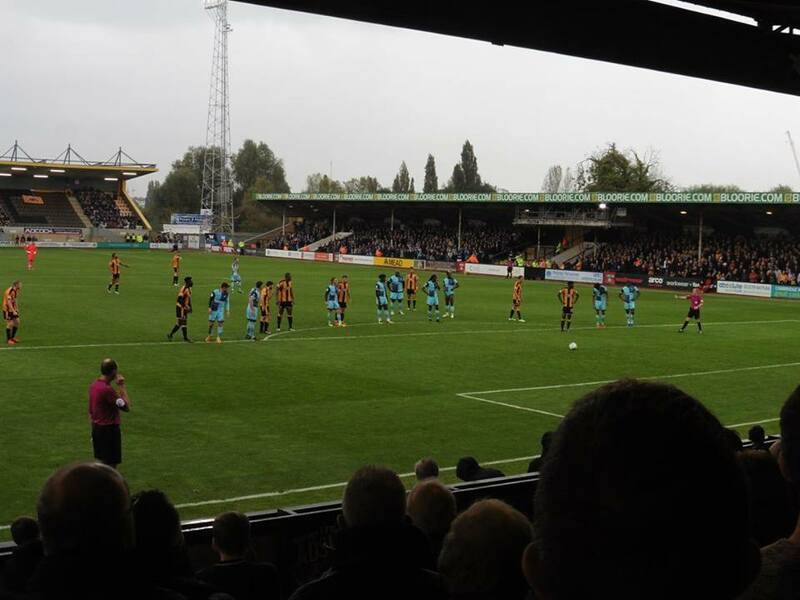 Wycombe I felt were the better side on the day, and had some good attacking options up front with Craig Mackail-Smith, Bayo Akinfenwa and Nathan Tyson (before he came off injured) up front and played some really nice football at times. 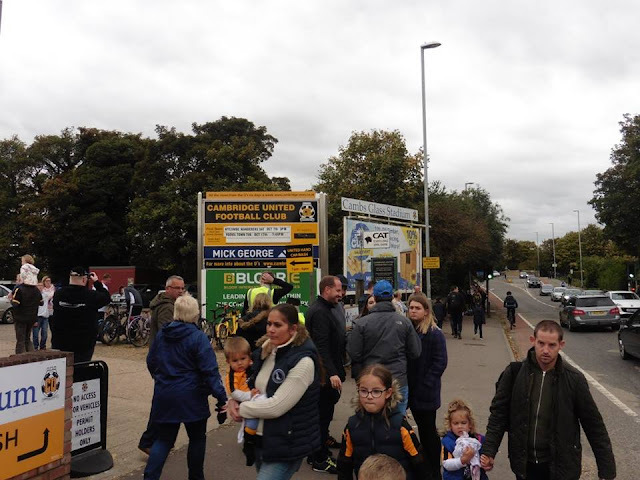 After the game, after waiting just over an hour for the bus back to the station, due to traffic, we finally arrived back to Strood at half 8, been a good day out. Cambridge was my 79/92 ground. My thoughts on the ground, I thought the ground weren't a bad ground to visit, a old fashioned ground. Atmosphere wise wasn't great either, but was nice to see some goals for a change! 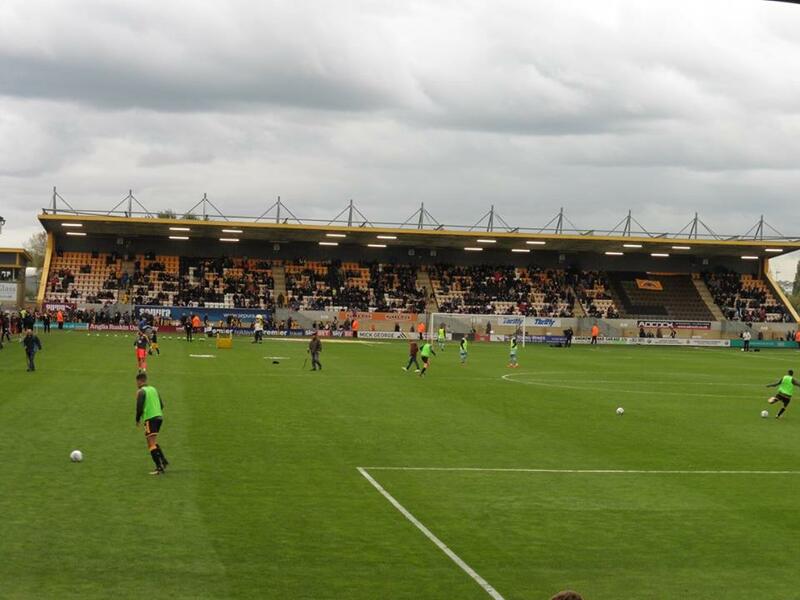 Anyway, onto my next game which is the next day, Portsmouth at home, followed by a visit to Met Police on Tuesday night.